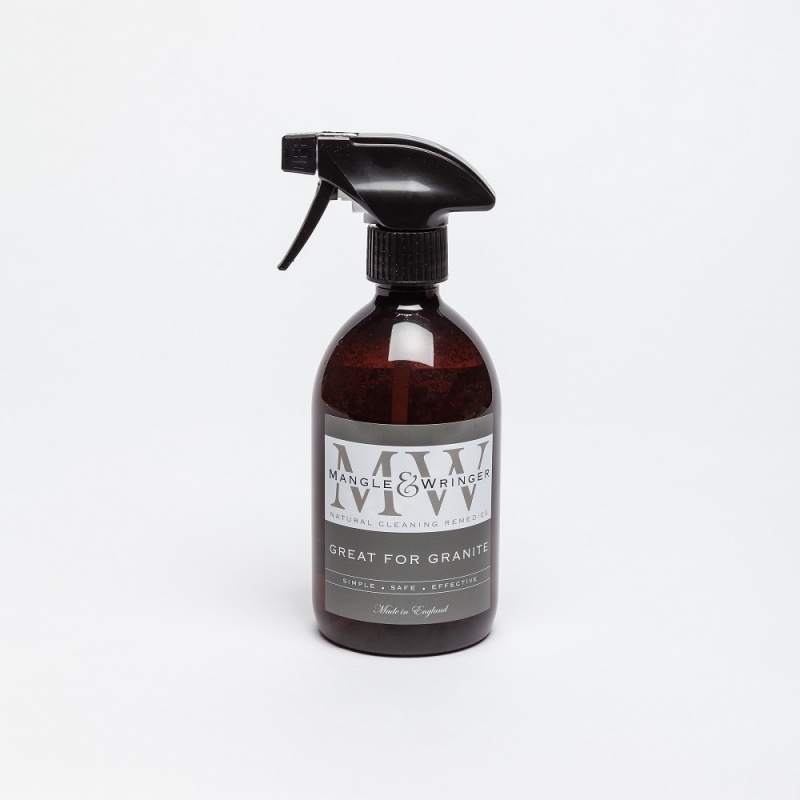 A natural granite cleaner spray in a reusable bottle which is also refillable. This spray bottle is PET and is intended as a bottle for life - to be reused and refilled with the glass bottle refills. Great for Granite is a gentle non-acidic, multi-purpose cleaner for all marble, granite and stone. Made using the pure liquid soap with coconut and sunflower oils, it will gently but effectively remove all grease and grime from natural stone that may be damaged by more acidic products, to leave a deep shine and streak-free finish. It can be used with either the Kitchen Cleaner or Bathroom Balm where a non-scratch gentle abrasive action will remove even the toughest dried-on dirt or oily residues. Spray and wipe with a cloth or sponge. Buff with a dry cloth for a smear free finish. For dried-on food or dirt, spray and leave for a few minutes before removing with very little effort.